What`s a little murder among friends? Three friends push the boundaries of trust in this hermetically sealed shocker. 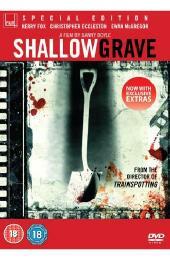 Starring Kerry Fox, Chris Eccleston and Ewan McGregor, Shallow Grave is a masterpiece of terror riddled with hairpin turns that takes you on a fantastic ride to the lowest depths of human nature.